ABP Tech is a value-add Specialty Distributor for IP technology solutions. We provide our Technology Partners the best tools to earn a competitive edge. The ABP Promise delivers partner empowerment, carefully handpicked solutions, expert support, evolving vision and dependable delivery. Our commitment to offering the latest in technology enables everyone the opportunity to work smarter, and not unnecessarily harder. Robert Messer founded ABP Tech back in 2001, when IP was fresh and SIP was an emerging technology. At the time, many experts thought IP technology wouldn't have the power and clout to replace proven analog solutions. Only the foolish or daring would leave behind the safe, reliable technology of TDMA, digital telephony or coax-based analog CCTV for IP-based solutions. Was Robert foolish or daring – or both? Just as important to Robert as IP technology are the partners who share his commitment. ABP’s Technology Partners enjoy our best-of-breed portfolio, customer experience and support. Interestingly enough, even our business model as a specialty distributor is unique: We don’t just sell our partners a SKU, we develop strong, two-way relationships. Today, ABP Tech is a key player in Open Standards IP technology infrastructure and end-point product sourcing and support. ABP Tech has developed into a leading distributor of network, software and hardware IP-based solutions for telephony and surveillance resellers. We’ve added a world class fulfillment and provisioning process for premise-based equipment aiding hosted/managed providers in activating service for clients. And while we’re devoted to IP technology and our partners, we also have a great relationship with emerging manufacturers. 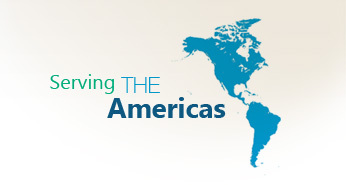 We’ve helped a significant number of innovative manufacturers gain exposure to resellers throughout the Americas. In turn, our resellers gain early access to quality new products. ABP vendors gain access to vertical channels served by ABP Tech, marketing and PR support, combined with technical resources and a well-trained sales team. ABP Tech provides resellers and Service Providers with quality products, vendor access, lead generation and competitive and margin-protected pricing. At ABP Tech, we know if our partners aren’t successful, neither are we. We’ve made it our goal to help our partners grow sales by providing innovative IP technology solutions and support.